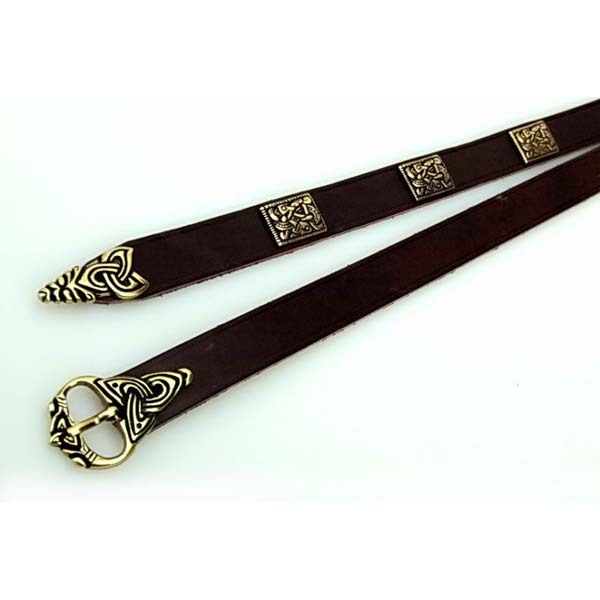 This narrow Viking leather larp belt with replicas of buckle and fittings in borre style, is made of strong, vegetable tanned leather of 3 – 3.5 mm thickness with a beautiful, matte surface. 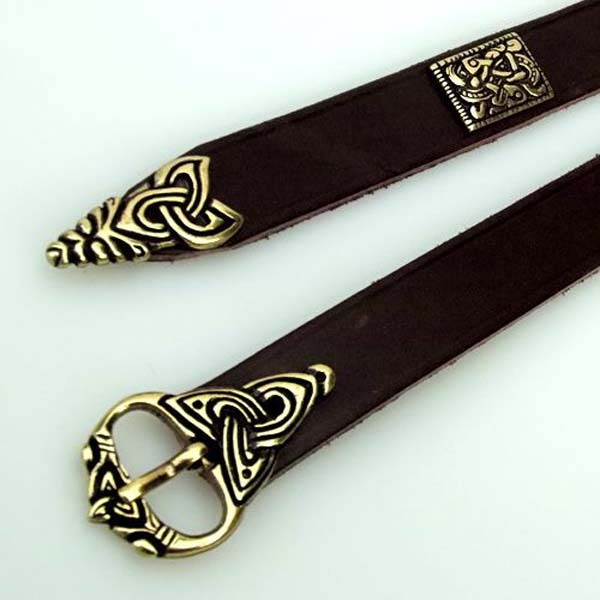 This leather Viking belt is available in brown or black with ?silver colored buckle, belt strap end?and three decorative rivets. 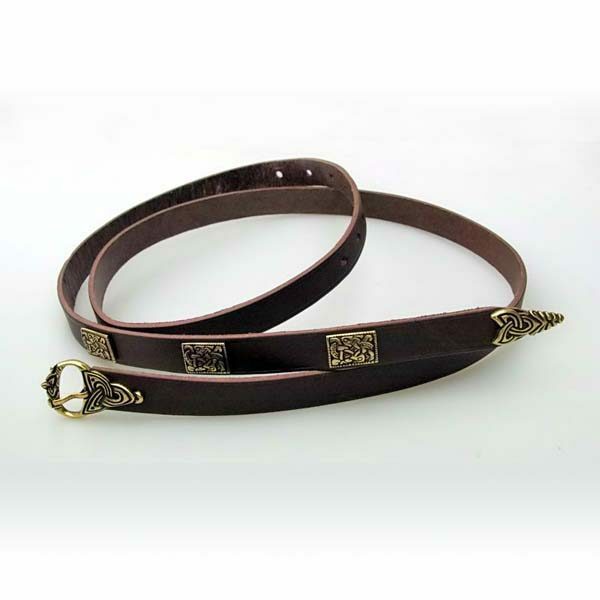 This Viking Belt with Fittings is 2cm (3/4 inch) wide and?is decorated with authentic replicas of the Medieval belt buckle, belt tongue and decorative rivets from the 9th – 10th century. 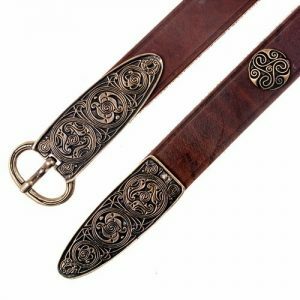 The narrow Viking belt with replicas of buckle and fittings in borre style is made of strong, vegetable tanned leather of 3 – 3.5 mm thickness with a beautiful, matte surface. 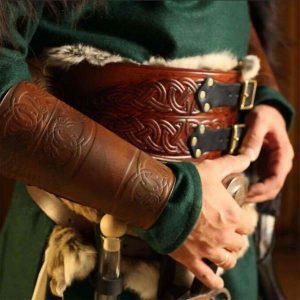 The Viking leather belt is available in brown or black with silver coloured buckle, belt tongue and three decorative rivets. ? 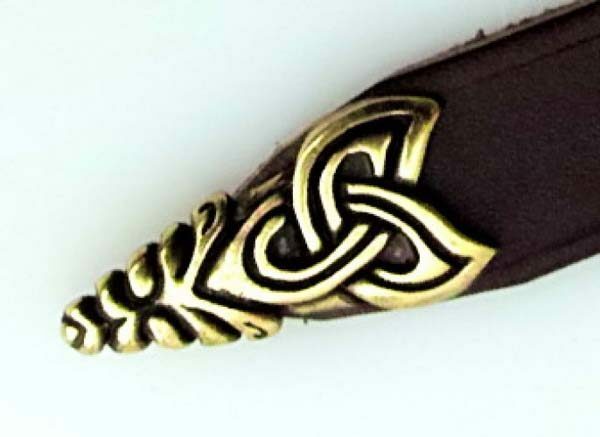 ?This product is 100% suitable for use for the following: LARP Costume, SCA Costume, Cosplay Costume, Stage & Film Costume. 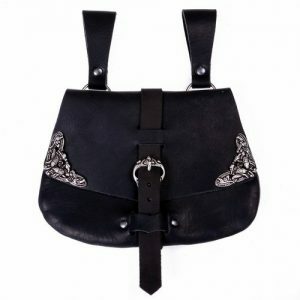 It is of a quality and durability that if maintained correctly will last for many years.